Ravnica Allegiance represents a unique chance to up your returning player count. If you’ve got email addresses, now's the time to reach out*. If you’ve got a loyalty program, boost the reward for return visits. If you do referral incentives, tweak them to get players back. Ravnica Allegiance could be a better chance to net return players than any January set in Magic's history. 1. It's the follow-up to the biggest season of all time. Ravnica Allegiance represents a unique chance to up your returning player count for the simple fact that there are more active players than usual right now. Attendance during Guilds of Ravnica season has been unprecedented. It barely edges out Dominaria as the single best-attendance season in the history of Magic—and both seasons are miles ahead of the second runner up. We're talking more than half a million players in just a few months. So any effort you put into bringing those players back—whether that's social media ads, an incentive program, or something else—has a chance of greater reward than usual. Think of it this way. If a player was active during Core Set 2019 season, there was a 59% chance they'd stick around for Guilds of Ravnica. If the same percentage of Guilds-season players stick around for Allegiance, that's going to be more total players, for the simple fact that Guilds attendance was better. And there's good reason to believe that return rate could be even higher for Allegiance. 2. It'll continue Ravnica's Standard hot streak. The plane of Ravnica has a near-perfect record for producing beloved Standard environments, going all the way back to the very first one, Champions of Kamigawa/Ravnica. Guilds continued the streak with a diverse and dynamic metagame, and all the pieces remain in place for Allegiance. The recipe for Ravnica's Standard success starts with the basic premise of the plane: it’s a city of guilds. Each guild is based on a different color pair, and they intersect in ways that lead to multicolor strategies. 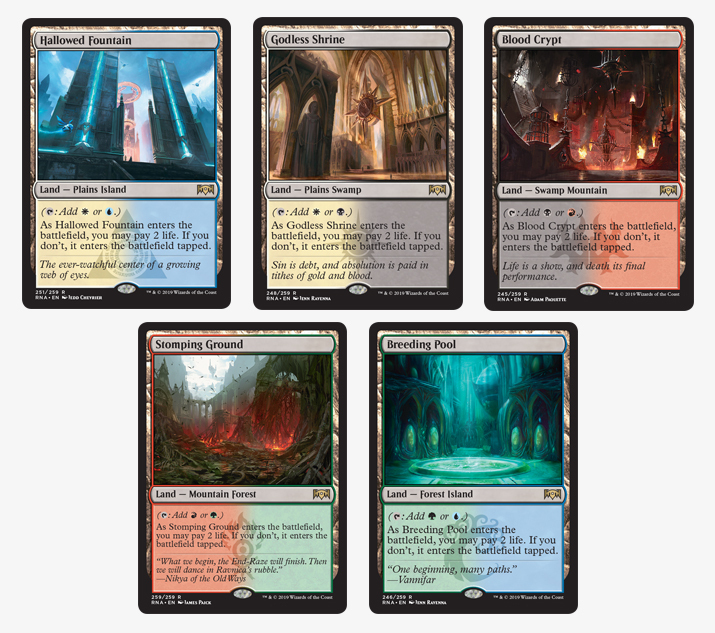 And with more viable multicolor strategies, more decks see play, more cards see high demand, etc. With more guilds come more tools to support those strategies, and more irresistible options for your players' Standard decks. 3. It'll complete key cycles. Ravnica Allegiance completes a host of popular cycles started in Guilds. Some are aimed at driving your draft attendance with cards both useful and familiar in limited; others should be helpful keeping Standard players enjoying the format. Everything your players loved about the Guilds of Ravnica booster draft experience is back with Ravnica Allegiance. 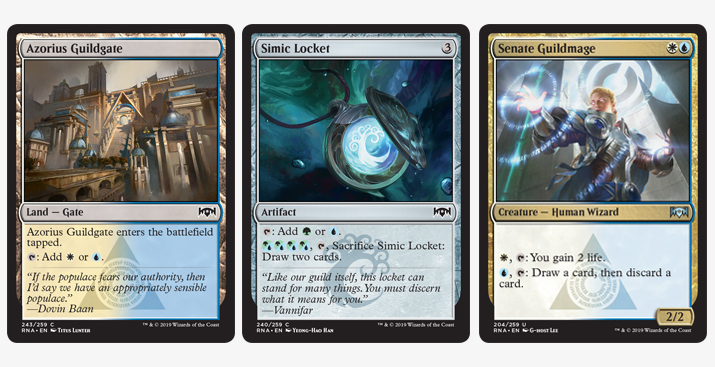 A guildgate in every pack means more multicolored strategies and more exciting picks per pack; the guildmages once again push the power level of the uncommon slot (in a good way); lockets are back to ramp into five-drops on turn four, plus provide some card advantage in the late game. Guilds of Ravnica started each of these popular cycles, and Ravnica Allegiance completes them. Can’t forget about Shock Lands—one of Magic’s most sought-after dual land types. The potential for a dual land to enter the battlefield untapped is huge, with the basic land type to boot. They'll open up all sorts of options for existing decks. A bright future for Standard, a draft environment filled with returning favorites, and more active players to enjoy them both. The takeaway is clear: now’s the time to put resources into returning players.